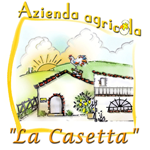 We are the first to have grown beans Tepary in Italy! They are certified BIO also. 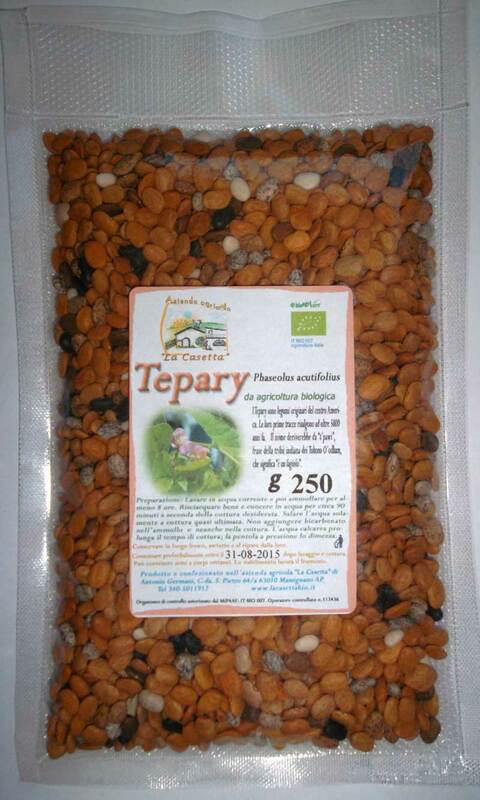 The tepary are the prehistoric beans of the natives of 'Central America. The traces of this variety of beans date back to about 6000 years ago. They differ a lot from the common bean; first of all the species is Phaseolus acutifolius. These beans vary greatly in shape and color, They can be oval, flat or round, and the color can fade to a white meat to brown spotted, from reddish brown to purplish brown. Despite being very small in size, they have an exceptional nutritional value richer in protein and fiber and low in fat than the ordinary beans. The Tepary are difficult to collect because of their reduced dimensions and the thin skin, which is broken to the touch making them fall to the ground. Also the collection, due to the maturation to climb, occurs entirely by hand. They are beaten, cleaned and sorted by hands. All this, together with their low weight for every single seed, is the reason for their high price. But you'll be rewarded by their unique taste and their high health properties. More news can be found here: Beans Tepary. 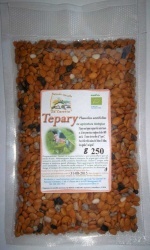 If you like beans ... you will love Tepary !